The third round of the 2019 season marks a milestone weekend for Formula 1 as the series celebrates its 1000th World Championship race. Here’s everything you need to know ahead of the Chinese Grand Prix weekend on April 12-14, 2019! 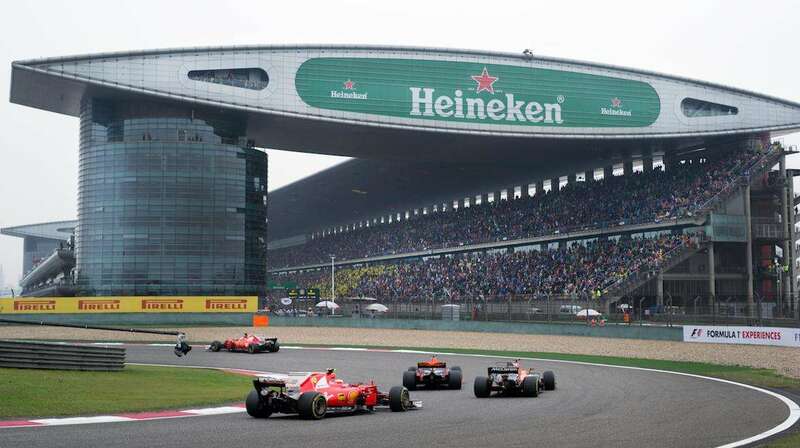 The Chinese Grand Prix takes place at the Shanghai International Circuit, located in the sprawling suburbs of Shanghai, the most-populated city in the world. The circuit seems as futuristic now as it did when it first appeared on the calendar, with its imposing grandstand and pit complex, paired with the twisting nature of the track – which often allows for great wheel-to-wheel action! Shanghai’s population has grown by almost 10 million since Formula 1 first visited the track in 2004. The city is a multicultural metropolis, and there are activities to cater for everyone in Shanghai itself and the surrounding area. The historic Longhua Temple Fair is in full swing in Shanghai over Chinese Grand Prix week, meaning there’ll be a range of local opera and folk art performances to enjoy during your stay. We’ve rounded up the best places to visit on your Chinese Grand Prix trip in Off-Track Activities. The easiest way to travel from the city centre to the track is to use the metro – read up on the best ways of getting around the city here. Heading to China for the first time? All the essential travel information you need can be found in Travel Basics. Last season, the Chinese Grand Prix was the cheapest race to attend, with tickets costing only $160 USD on average. While that’s the case for fans travelling from abroad, the race is one of the more expensive in relative terms for local fans to attend – which can perhaps help to explain the declining attendance figures at the Grand Prix in recent seasons. In stark contrast, though, this year’s race looks set to be a sell-out event, with tickets selling out within just three months of them being available. It’s the first time that the race has sold out since the inaugural Grand Prix at the 200,000 capacity circuit. Check out our Budget Planner for the lowdown on what you can expect to spend on a trip to the Chinese Grand Prix! As well as Formula 1, the FIA F4 Chinese Championship and the Porsche Carrera Cup Asia will provide more on-track entertainment over the Chinese Grand Prix weekend. There’ll also be special on track action to mark the sport’s 1000th race. Don’t forget, your weekend ticket allows you to sit in any grandstand of your choosing on Friday, so be sure to experience views from all areas of the track! You can find all the vital information about watching the race, including session times, on our updated Trackside page. With the 2019 Chinese Grand Prix marking Formula 1’s 1000th championship race, you can expect plenty of special events over the Grand Prix. F1 are yet to reveal details, though Ferrari will be performing few demonstration laps with one of their championship-winning cars over the weekend. If last year’s Chinese Grand Prix is anything to go by, this year’s should be a showstopper! Daniel Ricciardo took an unexpected victory for Red Bull with some superb overtaking moves after a late-race Safety Car changed the complexion of the race. You can read more about the history of the event in Race Facts. 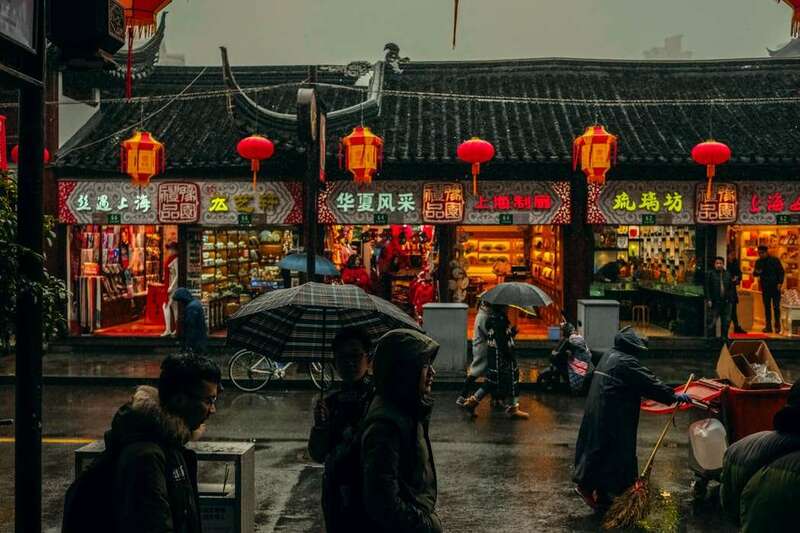 If you’re not in Shanghai for this year’s Chinese Grand Prix but want to attend next year, you can start early preparations for your trip in 2020 by finding out the best hotels available and what the local area has to offer! Any questions about the 2019 Chinese Grand Prix weekend? Ask in the comments below or find us on Twitter and we’ll do our best to answer!